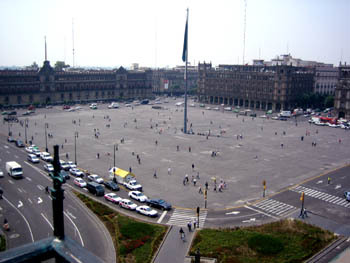 MEXICO CITY PHOTOS . . . Last week, as reported, I was in Mexico City with my 18-year-old daughter Lydia. I'm planning to post some photos here this week for anyone who might be interested in getting a sense as to what Mexico City is like and whether the stereotypes are true. If you want the short answer, the answer is no, they're not. We walked through the Mexico City zoo and saw the pandas.